Tulips are extremely resilient plants, and therefore are very low maintenance. Once they bloom, upkeep is a simple matter of making sure that their soil doesn’t become overly dry. The only time it gets more complicated is at the end of the season, when the petals begin to fall off and the leaves begin to wither away. Follow these simple steps to make sure that your tulips survive each season and come back strong year after year. 1 Water the tulips at the first sign of bloom, unless it has recently rained or substantial rain is expected within the next few days. 2 Keep an eye on the tulips throughout the spring, summer and into the fall. Check the moisture levels in the soil every few days. If and when the soil becomes so dry that it appears cracked on the surface, water the tulips lightly. 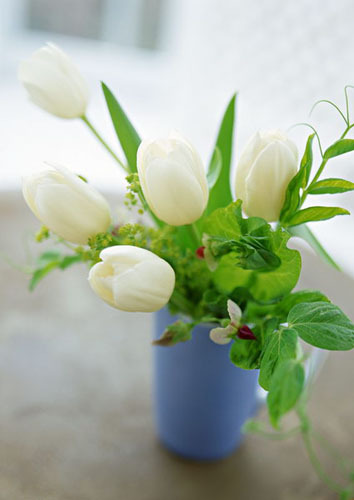 Tulips are easily over-watered, however, so do not water them otherwise. Because tulips are grown from bulbs, they also do not require any fertilizer or plant food. 3 Determine whether you want to leave the bulbs in the ground or replant them when the tulip petals begin to fall off in the fall. If you decide to leave the bulbs in the ground, they will likely grow back next spring with little maintenance. However, most tulips grow back smaller with each season and the bulbs last for only two or three seasons, so some gardeners dig them out every year. 4 Cut and harvest the tulips if you decide you want to dig them out and replant them. Do this before the first hard frost of the fall. Then dig out the bulbs, discard them and plant fresh bulbs in individual holes about 6 inches deep. Cover the holes with soil and water them once right away, then again in the early spring. 5 Wait for the petals to fall off if you instead decide to regrow the same bulbs next season. Watch the leaves closely as they start to die and cut them off only after they have turned completely yellow and wilted. The leaves power up the bulb with energy for the next year’s bloom, and they won’t have the energy they need if you cut off the leaves too soon. Prune the dead leaves until they are all gone, then cut the stem down to the base. Wait until early spring to water them for the first time. 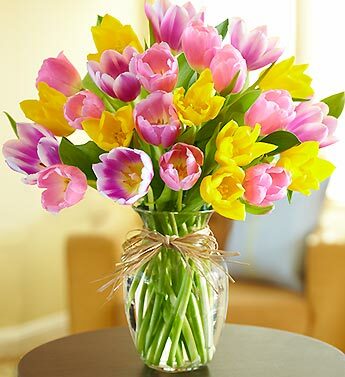 PS: Tulips add unique beauty to any occasion! 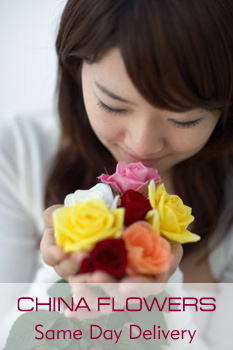 We offer Send tulips to China service between December to March.